M. Chen, J. Zhang, A.H. Berger, M.S. Diolombi, C. Ng, J. Fung, R.T. Bronson, M. Castillo-Martin, T.H. Thin, C. Cordon-Cardo, R. Plevin, P.P. Pandolfi. “Compound haploinsufficiency of Dok2 and Dusp4 promotes lung tumorigenesis”. J. Clin. Invest. 2018 Nov. 26, pii: 99699. doi: 10.1172/JCI99699. [Epub ahead of print]. F.A. Karreth, M. Reschke, A. Ruocco, C. Ng, B. Chapuy, V. Léopold, M. Sjoberg, T.M. Keane, A. Verma, U. Ala, Y. Tay, N. Seitzer, A. Bothmer, J. Fung, F. Langellotto, S.J. Rodig, O. Elemento, M.A. Shipp, D.J. Adams, R. Chiarle, P.P. Pandolfi. 2015. “The BRAF pseudogene functions as a competitive endogenous RNA and induces lymphoma in vivo.” Cell, 2015 Apr 9; 161(2):319-32. A. Papa, L. Wan, M. Bonora, L. Salmena, M.S. Song, R.M. Hobbs, A. Lunardi, K. Webster, C. Ng, R.H. Newton, N. Knoblauch, J. Guarnerio, K. Ito, L.A. Turka, A.H. Beck, P. Pinton, R.T. Bronson, W. Wei, P.P. Pandolfi. Cancer-associated PTEN mutants act in a dominant-negative manner to suppress PTEN protein function. Cell, 2014 Apr 24; 157(3): 595-610. Y. Tay, J. Rinn, P.P. Pandolfi. The multilayered complexity of ceRNA crosstalk and competition. Nature, 2014 Jan 16; 505(7483): 344-52. J. Lieberman, F. Slack, P.P. Pandolfi. 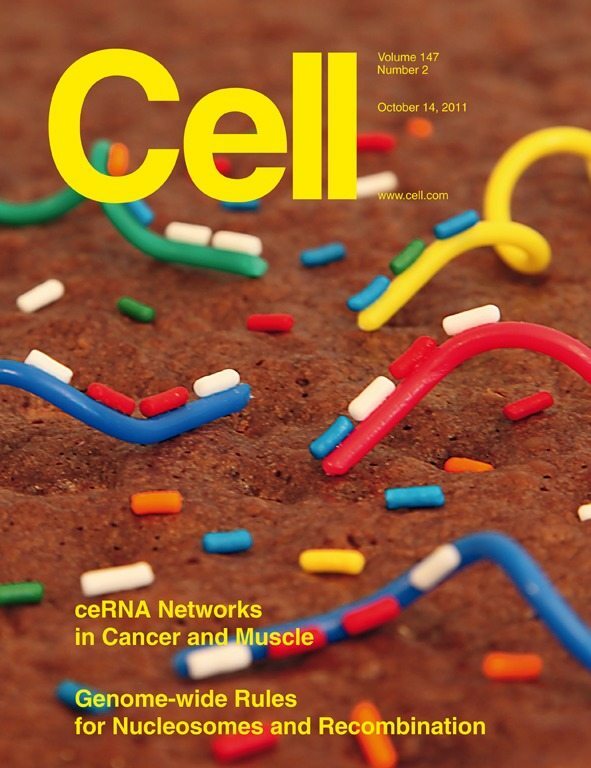 Non-coding RNAs and cancer. Cell, 2013 March 28; 153(1):9-10. S. J. Song, L. Poliseno, M.S. Song, U. Ala, L. Kats, G. Beringer, K. Webster, X. Yuan, J.E. Brock, A. L. Richardson, L. C. Cantley, P.P. Pandolfi. MicroRNA-antagonism Regulates Breast Cancer Stemness and Metastasis via TET-Family-Dependent Chromatin Remodeling. Cell, 2013 Jul 18; 154(2):311-24. I. Garcia-Cao, M.S. Song, R.M. Hobbs, G. Laurent, C. Giorgi, V.C.J. de Boer, D. Anastasiou, K. Ito, A. Sasaki, L. Rameh, A. Carracedo, M.G.Vander Heiden, L.C. Cantley, P. Pinton, M.C Haigis, P.P. Pandolfi. Systemic elevation of PTEN induces a tumor-suppressive metabolic state. Cell, 2012 Mar 30; 149(1):49-62. F.A. Karreth, Y. Tay, D. Perna, U. Ala, A.G. Rust, K.A. Webster, D. Weiss, P.A. Perez-Mancera, M. Krauthammer, R. Halaban, P. Provero, D.J. Adams, D.A. Tuveson and P.P. Pandolfi. In vivo identification of tumor suppressive PTEN ceRNAs in an oncogenic BRAF-induced mouse model of melanoma. Cell, 2011 Oct 14; 147(2): 382-395. Erratum: Nov 11; 147 (4): 948. Y. Tay, L. Kats, L. Salmena, D. Weiss, S.M. Tan, U. Ala, F. Karreth, L. Poliseno, P. Provero, F. Di Cunto, J. Lieberman, I. Rigoutsos and P.P. Pandolfi. Coding-independent regulation of the tumor suppressor PTEN by competing endogenous mRNAs. Cell, 2011 Oct 14; 147 (2): 344-357. Highlighted on cover. L. Salmena, L. Poliseno, Y. Tay, L. Kats and P.P. Pandolfi. The ceRNA hypothesis: the new Rosetta stone of a hidden RNA language. Cell, 2011 Aug 5; 146(3): 353-8. A.H. Berger, A.G. Knudson and P.P. Pandolfi. A continuum model for tumour suppression. Nature, 2011 Aug 10; 476(7359):163-9. M.S. Song, A. Carracedo, L. Salmena, S.J. Song, A. Egia, M. Malumbres and P.P. Pandolfi. Nuclear PTEN regulates the APC-CDH1 tumor suppressive complex in a phosphatase-independent manner. Cell, 2010 Jan 21; 144(2):187-99. C. Giorgi, K. Ito, H-K. Lin, C. Santangelo, M. R. Wieckowski, M. Lebiedzinska, A. Bononi, M. Bonora, J. Duszynski, R. Bernardi, R. Rizzuto, C. Tacchetti, P. Pinton, P. P. Pandolfi. PML Regulates Apoptosis at Endoplasmic Reticulum Modulating Calcium Release. Science, 2010 Nov 26; 330(6008): 1247-51. R.M. Hobbs, M. Seandel, I. Falciatori, S. Rafii, P.P. Pandolfi. Plzf Regulates Germline Progenitor Self-Renewal by Opposing mTORC1. Cell;142(3):468-79 ; 2010 Aug 6. L. Poliseno, L. Salmena, J. Zhang, B. Carver, W. J. Haveman , P.P. Pandolfi. A coding-independent function of gene and pseudogene mRNAs regulates tumour biology. Nature, 465:1033-8, 2010. J.G. Clohessy and P.P. Pandolfi. ß-tting on p63 as a suppressor of metastasis. Cell, 137: 28-30, 2009. H. K. Lin, Z. Chen, G. Wang, C. Nardella, K.I. Nakayama, C. Cordon-Cardo, J. Teruya-Feldstein, S.W. Lee, C. H. Chan, W.L. Yang, J. Wang, A. Egia and P.P. Pandolfi. Skp2 targeting suppresses tumorigenesis in vivo through induction of cellular senescence independently of p19Arf/p53. Nature, 464:374-9, 2010. Erratum in: Nature. 2010 Jul 15; 466:398. Chan, Chan-Hsin [corrected to Chan, Chia-Hsin]. M.S. Song, L. Salmena, A. Carracedo-Perez, A. Egia, F. Lo Coco, J. Teruya-Feldstein and P.P. Pandolfi. The deubiquitinylation and localization of PTEN are regulated by a HAUSP-PML network. Nature, 455:813-7, 2008, Epublished 2008 20 August. K. Ito, R. Bernardi, A. Morotti, S. Matsuoka, G. Saglio, Y. Ikeda, J. Rosenblatt. D.E. Avigan, J. Teruya-Feldstein and P.P. Pandolfi. PML targeting eradicates quiescent leukemia initiating cells. Nature, 453:1072-8, 2008, Epublished 2008 May 11. A. Carracedo-Perez, L. Salmena and P.P. Pandolfi. Snapshot: PTEN Signaling Pathways. Cell, 133: 550-550.e1, 2008. L. Salmena, A. Carracedo-Perez, and P.P. Pandolfi. Tenets of PTEN tumor suppression. Cell, 133: 403-414, 2008. T. Maeda, T. Merghoub, R.M. Hobbs, L. Dong, M. Maeda, J. Zakrzewski, M.R.M. van den Brink, A. Zelent, H. Shigematsu, K. Akashi, J. Teruya-Feldstein, G. Cattoretti and P.P. Pandolfi. Regulation of B versus T lymphoid lineage fate decision by the proto-oncogene LRF. Science, 316: 860-866, 2007. L.C. Trotman, X. Wang, A. Alimonti, Z. Chen, J. Teruya-Feldstein, S-G. Chi, H-J. Kim, H. Yang, N.P. Pavletich, B.S. Carver, H. Erdjument-Bromage, P. Tempst, C. Cordon-Cardo, T. Misteli. X. Jiang and P.P. Pandolfi. Ubiquitination regulates nuclear PTEN import and tumor suppression. Cell, 128:141-56, 2007. R. Bernardi, I. Guernah, D. Jin, C. Cordon-Cardo, M. Celeste Simon, S. Rafii and P.P. Pandolfi. 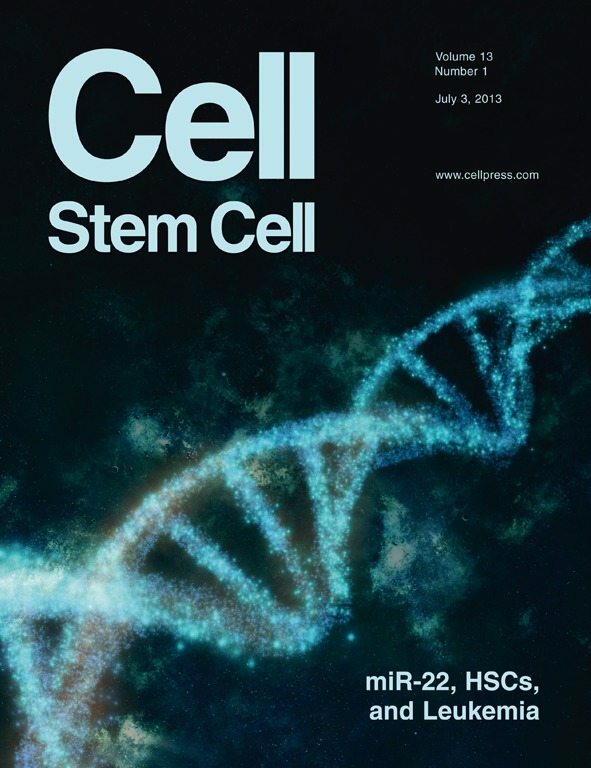 PML inhibits Hif-1 translation and neoangiogenesis through repression of mTOR. Nature, 442:779-785, 2006. P.P. Scaglioni, T. Yung, L-F Cai, H. Erdjument-Bromage, B. Singh, J. Teruya-Feldstein, P. Tempst and P.P. Pandolfi. A novel CK2-dependent pathway for PML degradation upon cellular and oncogenic stress. Cell, 126:269-283, 2006. L.C. Trotman, A. Alimonti, P.P. Scaglioni, J.A. Koutcher, C. Cordon-Cardo and P.P. Pandolfi. Identification of a tumour suppressor network opposing nuclear Akt function. Nature, 441:523-7 2006. S. Grisendi, R. Bernardi, M. Rossi, K. Cheng, L. Khandker, K. Manova and P.P. Pandolfi. Role of Npm in embryonic development and tumourigenesis. Nature, 437:147-53, 2005. Z. Chen, L.C. Trotman, D. Shaffer, H.-K. Lin, Z.A. Dotan, M. Niki, J.A. Koutcher, H.I. Scher, T. Ludwig, W. Gerald, C. Cordon-Cardo and P.P. Pandolfi. Crucial role of p53-dependent cellular senescence in suppression of Pten-deficient tumorigenesis, Nature, 436:725-730, 2005. L. Ma, Z. Chen, H. Erdjument-Bromage, P. Tempst and P.P. Pandolfi. Phosphorylation and functional inactivation of TSC2 by Erk: implications for tuberous sclerosis and cancer pathogenesis. Cell, 121:155-317, 2005. T. Maeda, R. Hobbs, T. Merghoub, I. Guernah, A. Zelent, C. Cordon-Cardo, J. Teruya-Feldstein and P.P. Pandolfi. Role of the proto-oncogene POKEMON in cellular transformation and ARF repression. Nature, 433:278-285, 2005. D. Ruggero, S. Grisendi, F. Piazza, E. Rego, F. Mari, C. Cordon-Cardo and P.P. Pandolfi. Dyskeratosis congenita and cancer in mice deficient in ribosomal RNA modification. Science, 299:259-262, 2003. H.-K. Lin, S. Bergmann and P.P. Pandolfi. Cytoplasmic PML function in TGF-beta signaling. Nature, 431:205-11, 2004. A. Di Cristofano and P.P. Pandolfi. The multiple roles of PTEN in tumor suppression. Cell, 100:387-390, 2000. A. Di Cristofano, P. Kotsi, Y.F. Peng, C. Cordon-Cardo, K. Elkon and P.P. Pandolfi. Impaired Fas response and autoimmunity in PTEN +/- mice. Science, 285:2122-2125, 1999.